In today’s increasingly globalized world, the ability to communicate in more than one language is becoming more important than ever before. The effects can easily be seen in modern classrooms, where children as young as kindergarten age are being taught an additional language. Spanish is one of the more popular choices as a second language, with its prominence rivaling English in terms of world usage. As such, the demand for competent Spanish teachers is rapidly growing. If you’re on this page, you’re likely reaching the end of your certification training to become a Spanish teacher. Congratulations on all of your progress! There’s no doubt you’ve worked hard to make it this far. Now you’re likely about to face the final component of your training, which will determine whether you’re ready to move on into teaching professionally. This last step is the ILTS Target Language Proficiency—Spanish exam. 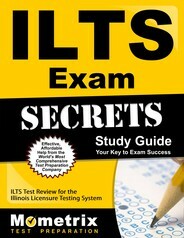 The ILTS Target Language Proficiency—Spanish test is different from many other ILTS exams—at least in terms of format. It features the same time allotment of three hours and 45 minutes, but has a smaller amount of questions than the average. You will be given two sets of questions, two of which require essay answers (“constructed-response”), while the rest are multiple choice. Each question will assess your knowledge of one of the following subjects: Oral Proficiency, Writing Proficiency, and Reading Comprehension. The Mometrix Test Prepration team would like to help you as you study for this important exam. We have composed an ILTS Target Language Proficiency—Spanish practice test for you to refer to whenever you need. It is 100 percent free for you to use. We recommend it for anyone looking to familiarize themselves with the exam or simply learn where their weaknesses and strengths lie with the material so they can hone a more effective study plan. 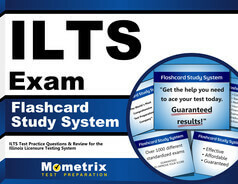 Regardless of how you use it, we hope our practice test will be of help to you. Good luck!